A gas detector or gas monitor is a device to detect the concentration of a gas in one area. It is widely used to monitor the leakage of gas and give an alarm to ensure the safety of life and production. ATO offers a series of gas detectors to monitor the leakage of ammonia, carbon monoxide, hydrogen sulfide, chlorine, hydrogen etc. There are two types - portable and fixed - for different requirements of applications. In addition, the portable gas detectors are available for diffusion-type and pump-type. Here is listed some features and prices of ATO gas detectors for your reference. Adopt high-accuracy sensor with high precise detection. With display, easy to readout. Portable gas detectors has rechargeable lithiumpolymer battery with large capacity. Note: The prices in the table are just for your reference. Please note that all the gases with measuring ranges are not listed in the table. 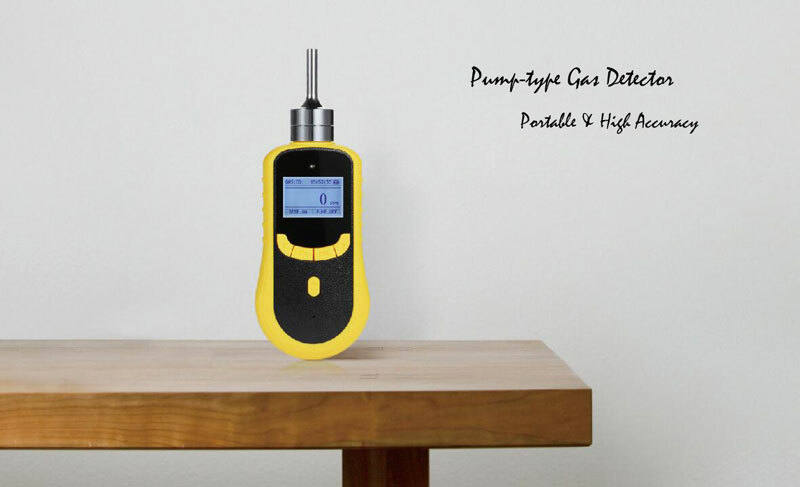 If you want a gas detector that is not listed in the table, please feel free to contact us. In the daily use of gas detector, the measuring range on the label of the gas detector often appears 0-100% LEL or 0-2000 ppm, etc., or there is also VOL% or ppm on the display screen of the gas detector. What do these three units mean? How do they convert? VOL is a physical unit which describes the volume of a gas and is expressed in percentages. % VOL means the percentage of the volume of a particular gas in the air. For example, 5% VOL methane means that the volume of methane in the air is 5%. % LEL refers to the lowest volume percentage concentration of combustible gas that can be detonated in the air, i.e., the lower limit concentration of gas explosion, or lower explosive limit for short. It also take percentage as unit, that is, the lower limit explosion is divided into one hundred, and one unit is 1% LEL. PPM, a little similar to VOL, represents one millionth of gas volume. For example, 10 ppm carbon dioxide means ten millionths of carbon dioxide in the air. Most of the gas detectors that can monitor a gas in PPM level are used to monitor micro-leakage of gas in the working environment. Generally speaking, all the gas detectors that can monitor gas in PPM are very accurate, the LEL gas detectors are generally used in explosion detection occasions, and VOL is the largest among them in terms of order of magnitude but is also commonly used. How to Choose a Gas Detector? How Does a Combustible Gas Detector Work?